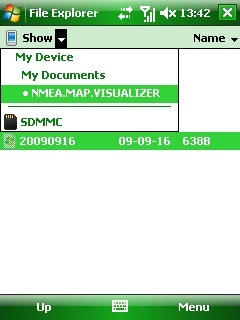 Exporting geographic location received from some external GPS Locator (Tracker),directly to map image in your Windows Mobile phones. If you use some kind of location tracker, or GPS locator, or phone with GPS, to save your children, car, or dog...the one which sends you an SMS messages with known geographic location,so... in this situations, LOC.VISUALIZER is the program you need. It saves the received location(s), and displays automatically on Google® Mobile Maps free program,or Tomtom® Navigator, or Microsoft® Live Search, in any Windows Mobile phone (both in Professional and Standard Winmo, smartphone versions).